IE Business School - International MBA | Join us for our next IMBA Open Day in Madrid, on Friday, July 17th! 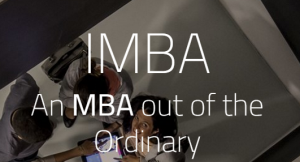 Join us for our next IMBA Open Day in Madrid, on Friday, July 17th! We invite you to join us for our next IMBA Open Day on Friday, July 17th! This is the perfect opportunity to experience a complete day in the life of an IE student. If you would like to participate, please register here or send an email to IMBA.admissions@ie.edu stating your full name and contact number. Should you have any questions about this event, please do not hesitate to contact us directly.